I decided to do another trip for 2013, starting in Quartzsite in January. Then, when the weather warms will go into California where I will (hopefully) visit Yosemite, Sequoias, and the Redwoods. Also, will visit the Oregon coast and Crater Lake, Washington state, Seattle and Vancouver, and Glacier National Park. So, picking up where I left off, we left Lake Isabella on 4/25 and headed down the Kern River canyon to Bakersfield on Hwy 178. That is one white-knuckle ride in an RV. 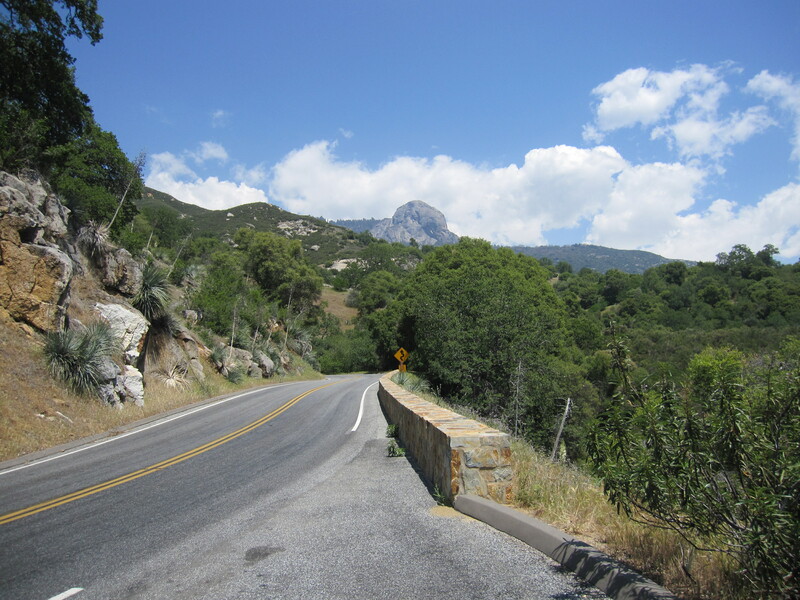 Very skinny road with twisty turns and steep grades. Luckily there were plenty of pull-offs for me to let the faster cars go by. I ran some errands in Bakersfield, then headed up Hwy 99 to Tulare. I had a Passport America (50% off) RV park lined up just 30 miles up the road in Kingsburg, close to Sequoia/Kings Canyon NPs. But, I was renting a car for the sightseeing and I needed to arrive by mid-morning to get the car and have all day for the drive. So, Tulare was a good, close spot for the night that would let me do just a short hop to the RV park the next morning. I had reserved a compact car, but they only had an Altima or a mini-van. I was happy to take the Altima, as that’s the car I own back in TX. It’s a comfortable ride. 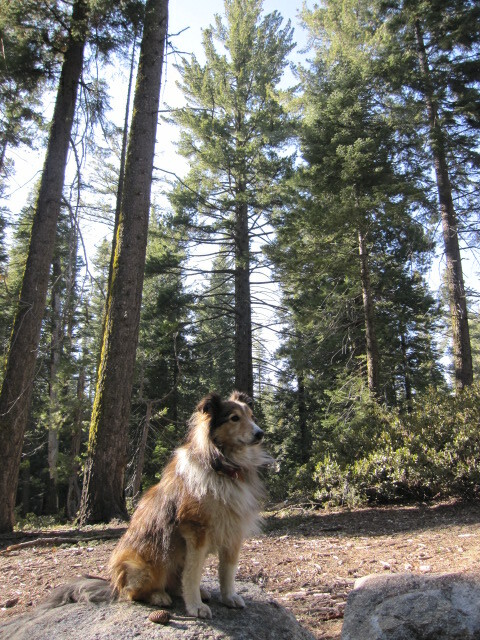 So, Enterprise picked me up at the RV park, I got the car, loaded up, and headed off through Visalia to Sequoia NP. 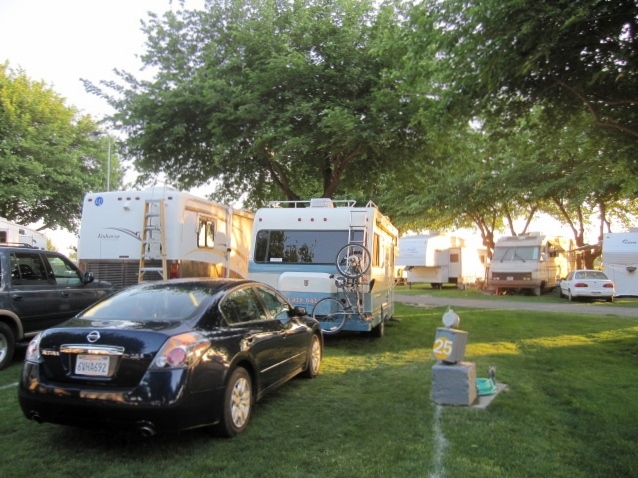 I had originally thought of driving the RV and camping in one of the campgrounds in the park. But, part of the General’s Highway road that leads into the park has a 22 foot vehicle limit. My motorhome is exactly 22 feet, but it sounded too close for comfort. I looked at a bit of the road on Google Maps Street View and decided No Way! Very skinny and twisty-turny. I was very glad to drive it in in the rental car. Also, the elevation gain from the Foothills visitor center to the main part of the park is 5,000 feet. Not fun (to me) in a big, heavy motorhome. Anyway, we headed out Hwy 198 to Visalia and through Three Rivers, where it starts getting very scenic. As I was passing through Three Rivers I saw the Google Street View car parked next to the road near a cafe. Normally I’m enough of a nerd to think that’s cool and want to go back and take a picture, but I had a limited amount of time already with too much to see and do. So, I kept on, stopping at the Foothills Visitor Center. I had heard there was a construction spot that only allowed cars through at the top of the hour and half past. I got the general area of the stop from the Ranger and headed up the road. I stopped to take a picture of Moro Rock. Down in the valley next to the road was a creek and little tumbling waterfalls. 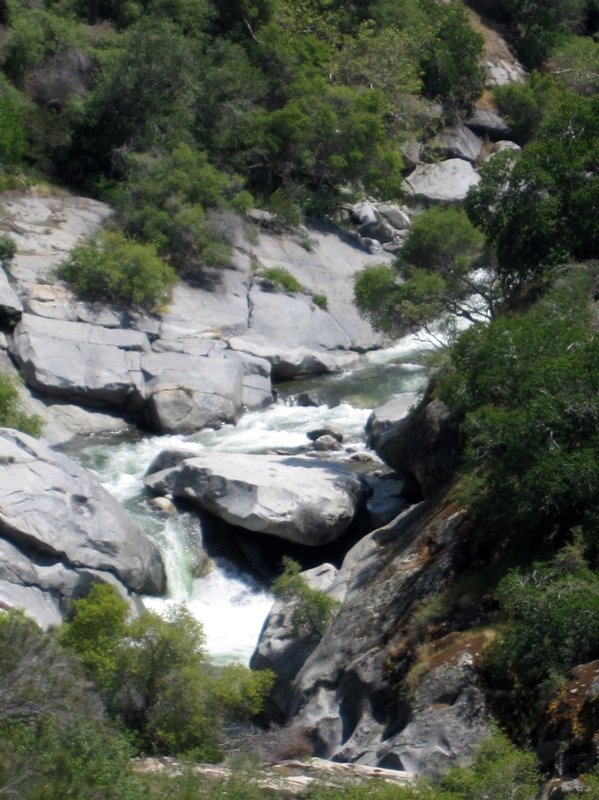 During the snow melt, there are a lot of raging rivers and seasonal streams in the Sierras. We stopped at a picnic area for lunch, then got back on the road, getting to the construction spot just as they were allowing the cars to go. Great timing! With my one day trip I didn’t have a half hour to lose sitting and waiting for the next passage. 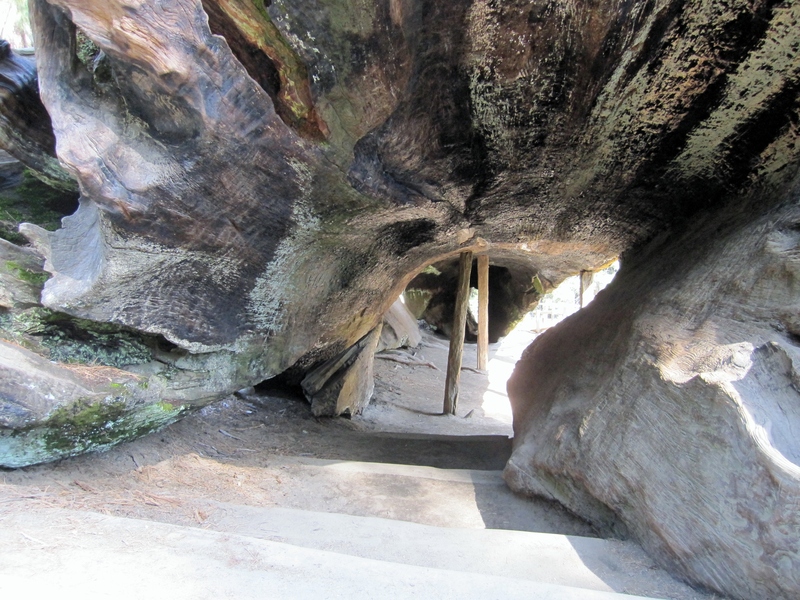 The Giant Forest Museum was still closed for the winter season, so I just headed on to the General Sherman Tree. 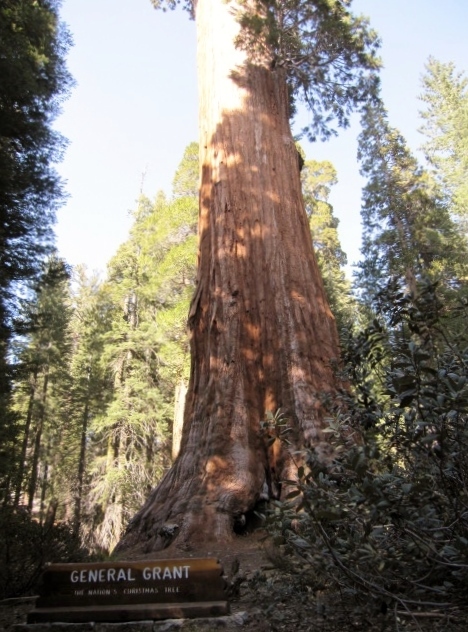 It is the largest tree in the world by volume. 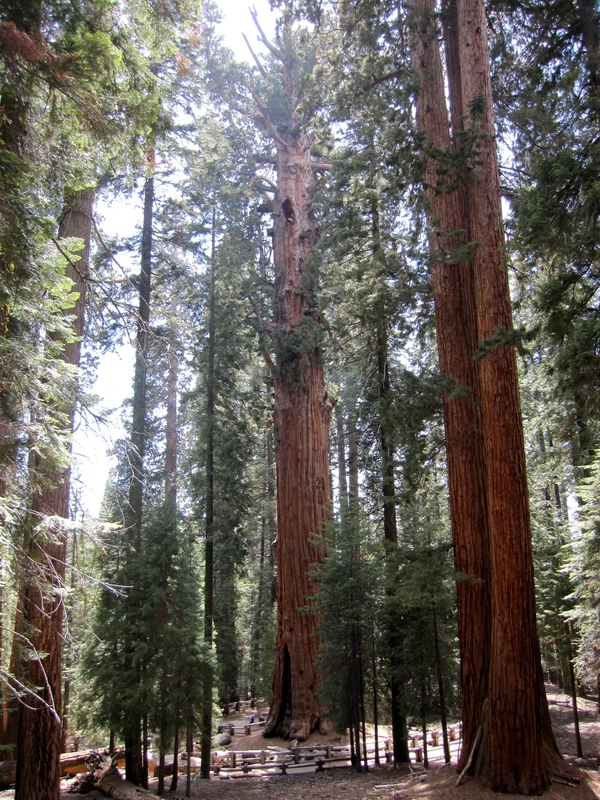 There are taller trees, and ones bigger around, but this one is both tall and wide. It is one massive tree. 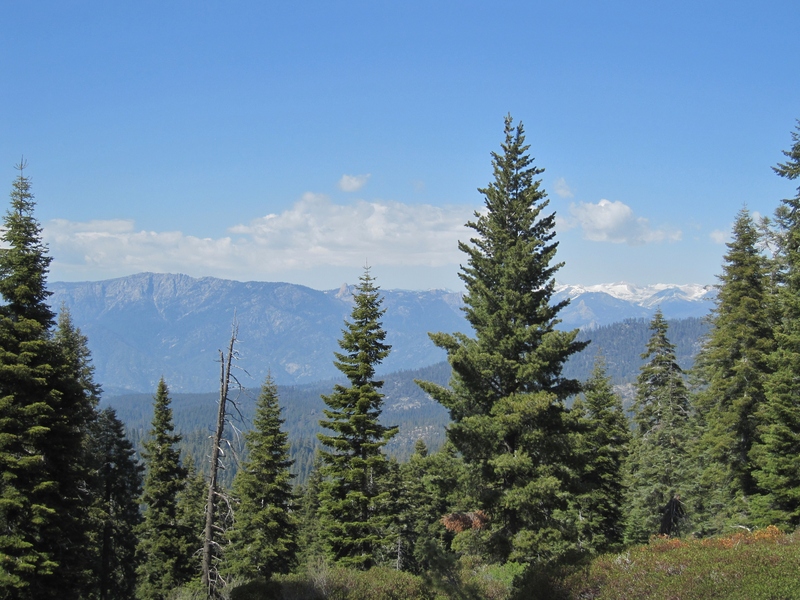 From the trail above the General Sherman tree. It’s the tree in the center with the railing around it. 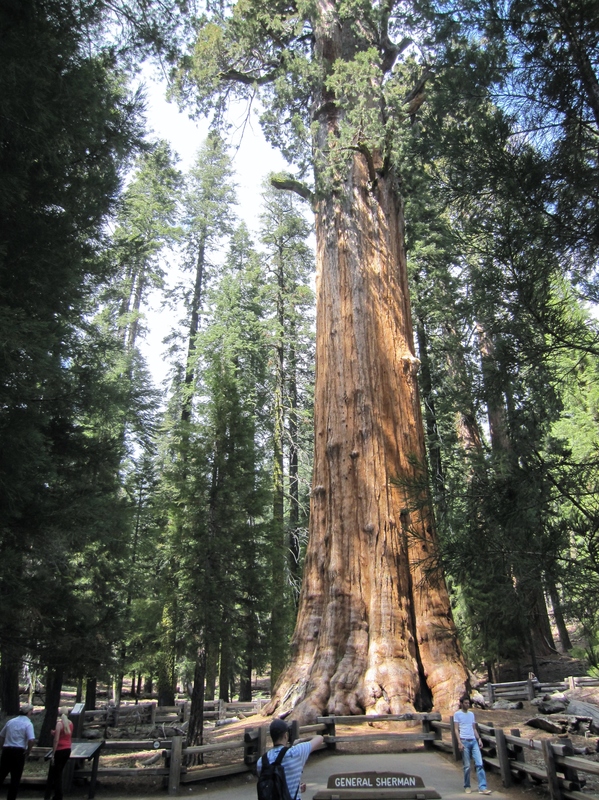 We stopped at the Lodgepole Visitor Center, then enjoyed the lovely drive on the Generals Highway to the Grant Grove in Kings Canyon National Park. By this time it was 5:30 and I wanted to be back to Kingsburg before dark, so I had a bit of time left to drive part of the Kings Canyon Scenic Byway. They had just opened the road for the season, so I was lucky to be able to drive it. I got to Junction View (where the Middle Fork and South Fork of the Kings River are viewable) about the time I needed to turn around and head back home. Junction View site. River on the left, that’s the road on the right. Yeah, I was there too. I wasn’t allowed on the trails or near the big trees, but I still like a good car ride. Next up was Yosemite. I would spend Saturday night (4/27) at the Escapees RV park in Coarsegold. It’s just south of the park and would be a good overnight spot before my reservations for 4/28-30 in Yosemite. I’m still going through all the pictures I took of Yosemite, but will post about that soon. This entry was posted in California, National Parks and tagged Kings Canyon National Park, Sequoia National Park, Viking RV Park by ontheroadwithriley. Bookmark the permalink. Great pictures! We were in Yosemite a couple of years ago in October. It was spectacular. These trees are amazing, aren’t they! So glad you got to see them. And you helped me figure something out..I’ve been agonizing between a tow along trailer and a RV…which I really ant because I don’t think I’d be good or comfortable at towing…but then I thought I was stuck with always driving the big RV to attractions….I NEVER THOUGHT of renting a car on occasion! What a great idea! Thanks!!! Hi Dawn! Yep, I had in the back of my head that I could always rent a car when I needed it for sightseeing, but hadn’t yet. 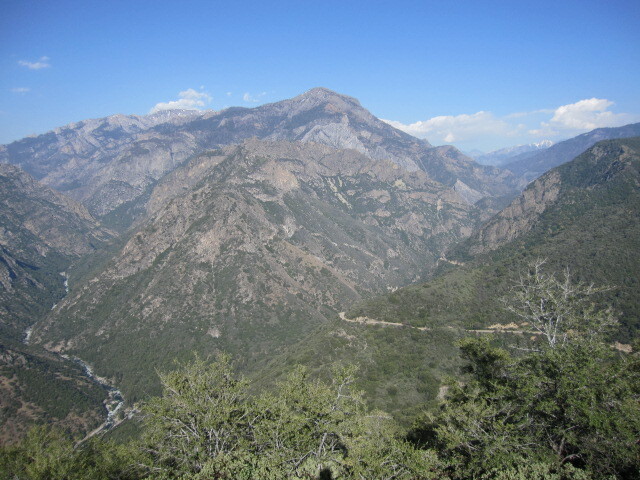 It worked great for Sequoia/Kings Canyon, and I rented a car for 3 days in San Francisco (will write about that soon). Enterprise will pick you up at the RV park, so they are really convenient. Congratulations on making it to your big destination! Thanks Kim! Great to see your fantastic adventure and the gorgeous photos! Great pictures!I l love the way you describe everything. You are quite the writer!!! !Live reading it! Thanks Barb! Dad says you all had a GREAT sale at the library. Glad all is well back at Shaw Island. Hi Maureen! I was just over that way. 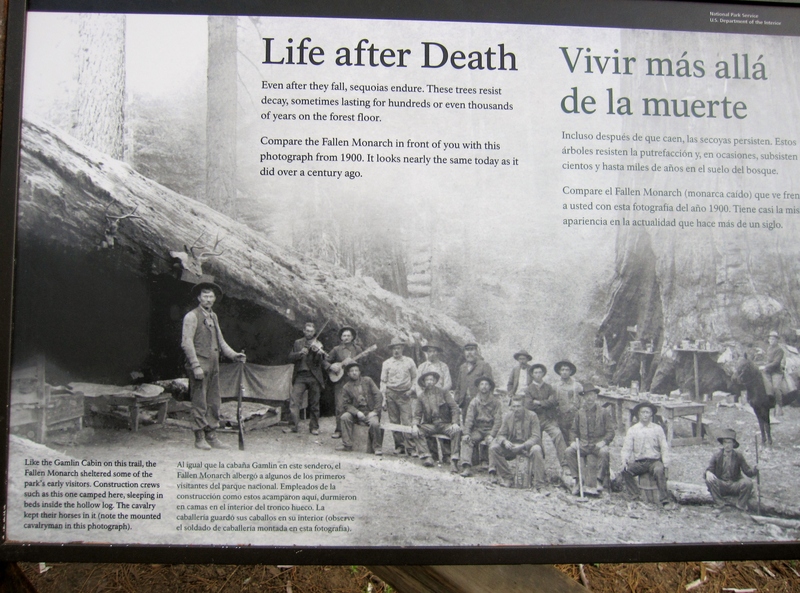 After leaving California I stopped in the Coconino forest south of Flagstaff. My timing is not good for the Lazy Daze events. I’m in Albuquerque, about to head to Santa Fe tomorrow and meet up with Chris. Not sure where we are headed, probably northern NM and southern CO.